Please navigate to your plan below to find the meeting dates and agendas for 2019. Once agendas are received, they are linked to the meeting date associated. Held every third Wednesday at 10:00 a.m.
A total of seven candidates expressed interest in the PERS-Municipal representative position. However, as of the closing date of January 4, 2019, no candidate received the number of nominations (300) required to qualify for the election. Rather than allow the seat to remain vacant, the nomination period has been extended until March 1, 2019, in order to allow the seven PERS-Municipal candidates additional time to secure the requisite number of nominations. Active Municipal employees who has not already done so, are urged to nominate a candidate for the PERS-Municipal representative position. The process to nominate a candidate is very easy and only takes a few minutes. ONLY ACTIVE PERS-MUNICIPAL MEMBERS MAY NOMINATE A CANDIDATE FOR THE PERS-MUNICIPAL REPRESENTATIVE POSITION. You will need to provide the last 4 digits of your Social Security number, the first 4 letters of your last name, and your birthdate. You will then see a list of all the candidates and you can make your choice. Nominations must be filed online or arrive in the Board Office on or before 4:00 p.m. Friday, March 1, 2019. If more than one candidate receives 300 or more nominations, an election will be required. Only one candidate received the number of nominations (500) required for the election; therefore that candidate will be elected without balloting. Subsequent to the Board of Trustees’ certification of the results, the candidate will be announced. The general responsibility for the operation of the PERS is vested in the Board of Trustees under the provisions of N.J.S.A. 43:15A-17. The Board meets monthly at the Division of Pensions and Benefits in Trenton. The statute provides that no employee shall suffer loss of salary or wages because of serving on the Board. Render decisions regarding Disability Retirement cases. Review appeals pertaining to the denial of certain pension benefits. Adopt rules and regulations to provide for the payment of benefits and collection of monies as required by statute. Establish rules and regulations within the limitations of statutes and opinions of the Courts and the Attorney General, designed to prevent injustices and inequities that may arise in the operation of the Retirement System. Resolve individual questions and appeals on the merits of each case in terms of statutes, opinions of the Attorney General, advice of the Actuary and cases cited by counsel as deliberated by the Courts. View monthly and annual reports setting forth data such as assets and liabilities, income and disbursements, and statistical summarization of membership as documented by the Actuary. Held every first Thursday at 10:30 a.m.
N.J.A.C. 17:3-1.4, sets forth the procedure for the election of a member-trustee. Edward Yarusinsky from Warren County representing Group B, began his three year term on January 1, 2019. Irene Savicky, Group C, was the only candidate to register with the TPAF Board Secretary by the filing deadline, March 1, 2019. Therefore, Ms. Savicky is deemed elected without ballot to represent Group C, for a three-year term commencing on January 1, 2020. Group C consists of Atlantic, Burlington, Camden, Cape May, Cumberland, Gloucester, Hunterdon, Mercer, Ocean, Salem. As only one candidate registered for the trustee position for Group C, there will be no need to conduct a vote for this position. On April 1, 2019, the respective County Superintendent’s Office received information for the selection of this year’s delegates and alternates. Please remember to register with your respective county for the 2020 election of a member-trustee. Eligibility is determined by where you worked — not your residence; therefore, the county contact will be based on the county where you are currently employed or your school district at the time you retired. If you are interested to being a delegate/alternate for the 2020 election of a member-trustee, contact your respective County Superintendent’s Office. The names of the selected delegates and alternates must be electronically submitted to the Division no later than Wednesday, May 29, 2019. The selection of delegates and alternates is an important part of the process. Per N.J.A.C. 17:3-1.4, the County Superintendent is required to continue the process of annually providing the names of eligible delegates and alternates to the Board office in the event that unforeseen circumstances make it necessary to conduct a vote for a trustee position. 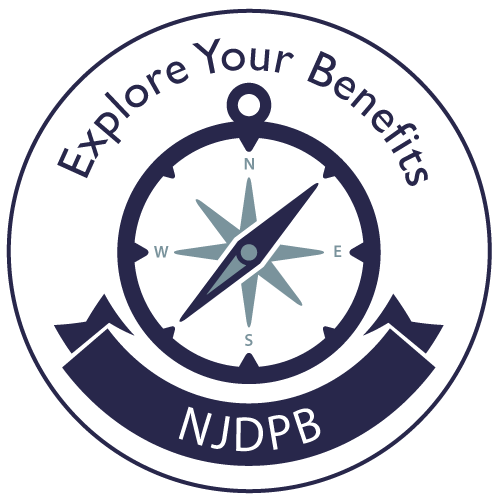 We encourage you to periodically visit the Division of Pensions and Benefits Web site, through the link, www.state.nj.us/treasury/pensions/board-meetings.shtml for information regarding future elections. Contact information for each of the 21 counties is provided below. Please note that the county contacts CANNOT respond to any questions related to pension and health benefits. Applicable Statute and Regulation: N.J.S.A 18A:66-56 and N.J.A.C 17:3-1.4. Held every Second Monday 10:00 a.m.
P.L. 2018, c. 55 (Chapter 55), established a new Police and Firemen’s Retirement System (PFRS) Board of Trustees, effective February 1, 2019. P.L. 2018, c. 55 (Chapter 55), established a new Police and Firemen’s Retirement System of New Jersey (PFRS) Board of Trustees, effective February 1, 2019. Three (3) active Police Representatives: One (1) elected by the active members of the system, one (1) appointed by the president of the New Jersey State Policemen’s Benevolent Association, and one (1) appointed by the President of the New Jersey State Fraternal Order of Police. Three (3) active Fire Representatives: One (1) elected by the active members of the system, one (1) appointed by the president of the New Jersey State Firefighters Mutual Benevolent Association, and one (1) appointed by the President of the Professional Firefighter’s Association of New Jersey. One (1) retiree elected from the retirees of the system. Five (5) Trustees appointed by the Governor. P.L. 2018, c. 55 (Chapter 55), established a new Police and Firemen’s Retirement System of New Jersey (PFRS) Board of Trustees which will replace the current PFRS Board of Trustees, effective February 1, 2019. The Board of Trustees has the general responsibility for the operation of the PFRS under the provisions of N.J.S.A. 43:16A-13. The Board meets monthly. Render determinations regarding Disability Retirement cases and approve retirements. Review appeals pertaining to the disallowance of pension benefits. Adopt rules and regulations to (a) provide for the payment of benefits and collection of monies as required by the statute and (b) to prevent injustices and inequities that may arise in the operation of the Retirement System within the limitations of statutes and opinions of the Courts. Resolve individual questions on the merits of each case in terms of statutes, advice of the Actuary and cases cited by counsel as deliberated by the Courts. View monthly and annual reports setting forth data such as assets and liabilities, income and disbursements and statistical summarization of membership as documented by the Actuary. The Board will be responsible for the funding policies of the Board and directing the investments of the funds. Transmit hearing requests to the Office of Administrative Law (OAL) and review decisions from the OAL. Chapter 55 provides for three elected positions. One (1) Fire Representative elected by the active fire members of the system; One (1) Police Representative elected by the active police members of the system; and one (1) Retired Representative elected from the retirees of the system. The process to fill these positions has begun since the terms of these 3 positions begins on February 1, 2019. However, due to the requirements of Chapter 55, this election is being held on a condensed timeline. Police Representative - The term will begin on February 1, 2019 and end on January 31, 2021. Nominations closed on October 22, 2018 for the police representative on the Police and Firemen’s Retirement System (PFRS) Board of Trustees, C. 55. Only one candidate, Ray Heck, obtained the requisite number of police member nominations. Therefore, there was no need to hold an election for this position. The term for this position begins on February 1, 2019. Fire Representative - The term will begin on February 1, 2019 and will end on January 31, 2023. Nominations closed on October 22, 2018 for the fire representative on the Police and Firemen’s Retirement System (PFRS) Board of Trustees, C. 55. As more than one candidate obtained the requisite number of nominations it was necessary to conduct an election. The voting period closed on Friday, December 14, 2018. The results will be presented by the vendor, Election-America, on Friday, December 21, 2018 at the Division of Pensions and Benefits. Retired Representative - The term will begin on February 1, 2019 and will end on January 31, 2023. The voting period closes on Monday, January 7, 2019 at 5:00 pm. The results will be presented by the vendor, Election-America, on Wednesday, January 23, 2019, at the Division of Pensions and Benefits. Held every Fourth Tuesday Every Other Month 10:00 a.m. The State Police member representatives to the Board of Trustees are appointed by the Superintendent of the New Jersey State Police. May 9, 2019 - 9:00 A.M. These meetings are run by the State House Commission and take place at the State House. Visit www.nj.gov/treasury/statehouse-commission for more information. Second Wednesday at 10:00 a.m.
April 18, 2019** - 11:00 A.M.
July 10, 2019* - 1:00 P.M.
July 24, 2019* - 1:00 P.M. Unless otherwise noted, meetings are held at 10:00 a.m. at the Division of Pensions & Benefits, 50 West State Street, Trenton, NJ. **The meeting will take place in the NJDPB 3rd Floor Board Room. ***The meeting will take place in the NJDPB 3rd Floor Board Room. Meetings start at 1:00 P.M.
**The March meeting, originally scheduled for March 28, 2019, has been changed to March 19, 2019. ***The April meeting, originally scheduled for April 24, 2019, has been changed to April 16, 2019. Meetings start at 10:00 A.M. Unless otherwise noted, meetings are held at the Office of the Division of Pensions and Benefits, First Floor Board Room, 50 West State Street, Trenton, New Jersey. Unless otherwise noted, meetings are held at 10:00 a.m. in the Office of the Division of Pensions and Benefits, First Floor Board Room, 50 West State Street, Trenton, New Jersey.